Spirit: Language, Unity, Truth, Vision. Places to visit: Florida, South African Republic, Peru. Things to learn: Foreign Language, Paragliding, Painting. 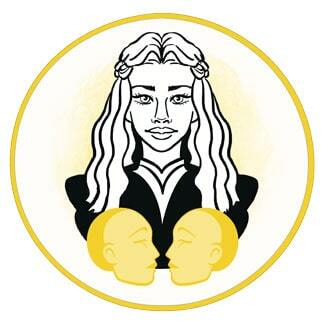 This year presents you with a task to connect dualities, oppositions and work on your inner ability to merge the impossible into one middle solution. There is a lot of tension at this time, but even more positivity and rewarding relationships that widen your horizons and make you happy. You could discover new philosophies and need to be ready to let go of spasms and fears that hold you back even though you thought you’ve dealt with them. Retrograde movements of Mercury will be more intense than usual, as it has a task to return your attention to difficulties you’ve left buried and unresolved. Focus on fixing what’s broken in March, July and November. Since you can’t see behind the curve, you could get carried away in certain expectations that aren’t realistic. Make sure that all grand projects are checked twice, and understand your role before making any rash, new, first professional steps. There is a lot to learn, your education needs an inspiring turnout, and no matter your age or your range of expertise, you will feel the need to enroll in new courses, learn new languages, and speak in dialects that are far from ordinary in a surrounding that might be a bit narrow or limiting. Apart from retrograde moves of Mercury that require a lot of attention and depth during this year, difficulties and dangers could come in waves in June. The end of the spring carries energies that are out of control and unconscious, and all dangerous and risky activities should be avoided at this time. The real challenge during this period, however, could be simply staying at home or in one place for too long. Meditate, listen to tender music that balances out your inner world with the outer one, and be gentle enough to not hurt anyone along the way, while holding on to boundaries that keep you safe from other people’s ordeals. 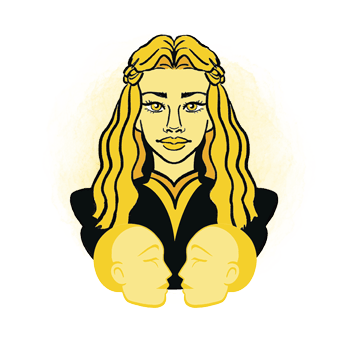 Just as the storms of spring and summer have passed, respect given by others will suddenly melt the ice and many Gemini could find themselves in positions of power and management they wanted to be in for a long time. Some disturbing matters are about turn inside out, leading towards a destination you’ve wished for. Progress in your profession will be at focus as autumn approaches, including a raise or financial opportunities that would be a shame to miss out on. Still, the best part of 2019 in lives of Gemini representatives comes through close and loving relationships that will bring hope and meaning to every segment of their life, if they only look in the right direction instead of expecting the impossible from those who cannot deliver. As the first rush of summer warmth comes, your immunity will drop significantly, and this is a time when fevers and all sorts of complications are possible if you train too hard or strain yourself over your human limits. Blood pressure troubles could arise, and some of you might stumble upon panic attacks and times of tension that won’t let you rest, sleep well and without nightmares. See your shadows for what they are, and your health will improve drastically. Fear can cause all sorts of problems in your world of physiology, and your nerves won’t handle it as well as they did in the past. Be brave but also gentle with yourself and your entire body. Your love life should generally blossom if you aren’t stuck in commitments that well passed their expiration date. Your emotional world could become a pure struggle if you don’t let go of issues that make you angry or bottle them up until the point of breaking. It is important to let your feelings flow no matter the common sense and rational solutions you thought would work at first. Care for your inner child, and inner children in those around you, and help people who get into trouble instead of judging their ways. You need positive turns, but even if things get difficult, there will be close individuals by your side to hold your hand and help you pull through. Plans and resolutions made as the year begins could turn into something entirely different already by the end of March. Don’t hold on too firmly to professional achievements that inspired you in the past, when you have so many open doors for new projects and cooperation in front of you. Use what you are blessed with and turn to people who seem positive and bring balance into your world instead of pulling you back. New partnerships are possible, as well as work with foreigners and rich clients, especially during the summer and in December. Gemini - traits, personality, dates, characteristics and astrological sign information. Gemini Horoscopes - daily, weekly and monthly Gemini horoscopes..